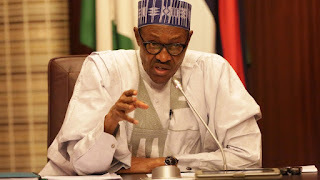 On Wednesday the 6th of June President Muhammadu Buhari has instructed that from 2019 Nigeria’s Democracy Day which has always been celebrated every May 29 for the past 18 years be moved to June 12 to honor Moshood Abiola, the winner of the 1993 presidential election. After the elections in 1993, the data showed that Mr. Abiola won the pools but he was never formally declared the winner and was not sworn into office by the military government of Ibrahim Babangida. He was later imprisoned by Sani Abacha’s military regime as he struggled to actualize his mandate. He died in prison in 1998. Previous governments have brushed aside calls for Mr. Moshood Abiola to be honored and for June 12 to be recognized ad democracy day by the Federal Government. The Buhari government said Mr. Abiola will now be conferred with nation’s highest honor, the Grand Commander of the Federal Republic, GCFR; an honor which is exclusively conferred only on presidents and former presidents. Also, the Federal Government said that Mr. Abiola’s running mate, Babagana Kingibe, is to be conferred with the second highest honor - the Grand Commander of the Niger, GCON. The late Nigerian foremost pro-democracy activist, Gani Fawehmi also received a GCON. “In the last 18 years, we have been celebrating May 29th, as Democracy Day. This was the date when an elected civilian administration took over from a military government for the second time in our history. The first time this happened was on October 21st, 1979. However, in the view of Nigerians, as shared by this Administration, June 12th, 1993, was far more symbolic of Democracy in the Nigerian context than May 29th or even the October 1st,” a statement by the presidency said Wednesday. “June 12th, 1993 was the day that Nigerians in millions came out in mass to express their democratic will in what was undisputedly the freest, fairest and most peaceful elections since our Independence. Despite the fact that the outcome of the election was not upheld by the military government then, this does not distract from the democratic credentials of that process. “After due consultations, the Federal government has decided that from now on, June 12th will be celebrated as Democracy Day. 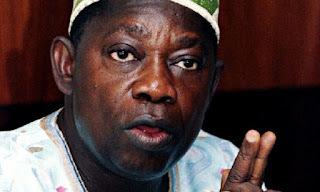 Therefore, Government has decided to award posthumously the highest honor of the land, GCFR, to late Chief MKO Abiola, the presumed winner of the June 12th, 1993 canceled elections. His running mate as Vice President, Ambassador Baba Gana Kingibe, is also to be invested with a GCON. Furthermore, the tireless fighter for human rights and the actualization of the June 12th elections and indeed for Democracy in general, the late Chief Gani Fawehinmi SAN is to be awarded the GCON”.